How does one help children who, after losing one or both parents, find themselves without any resources or support? The concept of Orphanage withou Walls grew out of an analysis of poverty in rural China, and from a lengthy study of humanitarian action in the country. The action taken appears modest in dimension, but is designed to act as a social lever rather than offer any miracle cures. An abandoned child is usually taken in by a relative, grandparent or uncle if they live in the same village. But the family cannot always afford to feed another mouth, let alone two or three more, if siblings are involved. Giving financial help to families faced with such a predicament to meet the children’s main needs (food, clothing and schooling) makes fostering much easier to cope with. By keeping them in the same village, with their extended families, and giving them the possibility to continue or resume school, the orphanages without walls can give them back confidence, dignity and hope. It can keep them away from the terrible fate that awaits many young villagers who find themselves out on the street. 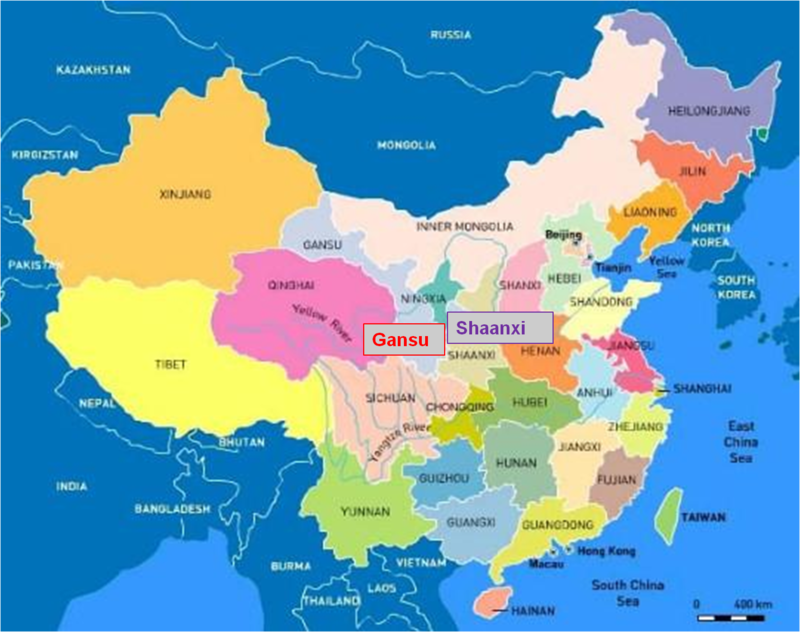 The orphanages without walls are located in the adjoining provinces of Gansu and Shaanxi. 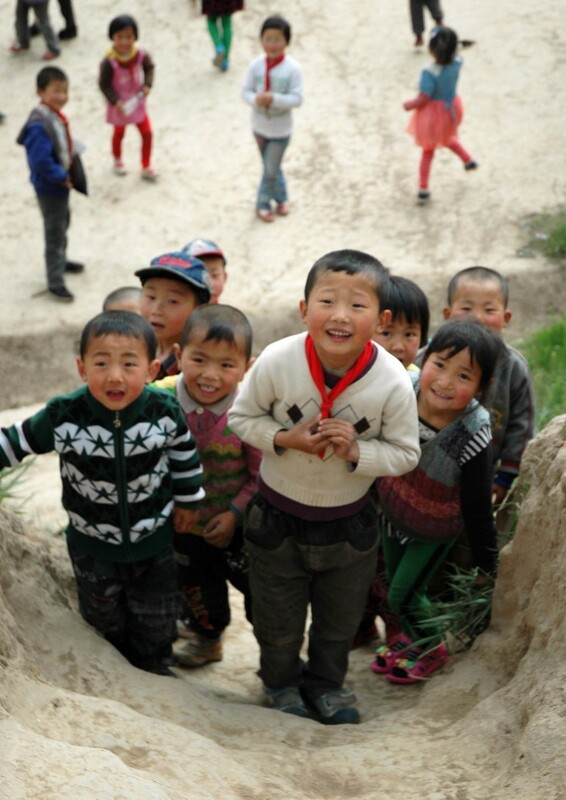 The orphanages without walls are scattered around some twenty villagers in Shaanxi and Gansu provinces, in the Wei valley, in the heart of China’s yellow loess lands. The terrain is rough, enclosed, mountainous and poor. In the remote villages, where agriculture is the only resource, average incomes for peasants stand at just 100 RMB a month. Corn and apples are the two main crops. Arable land is scarce. 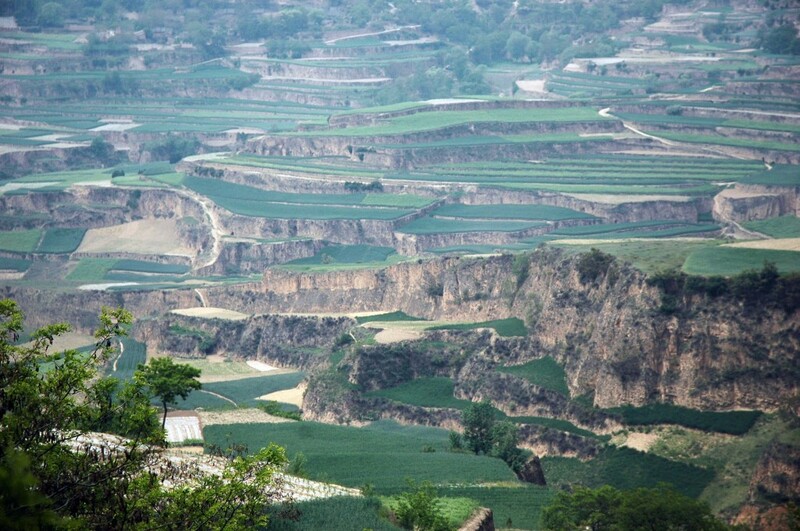 Deforestation, erosion and lack of water are acute problems. Houses are made of earth bricks, warmed by a kang (a brick bed under which corn stems are burned for heat). There is no indoor plumbing, and electricity is sometimes lacking. The villages are mainly inhabited by old people and children. Working adults have often left to try their luck in Mongolia, Xinjiang, Guandong, Beijing or Shanghai. There, they hope to earn 1000 RMB a month and send some money to their families in the villages, if they are not duped, taken advantage of or robbed. At the best, they come back to their village once a year. They hardly see their children grow up. The teachers or the local offices of the Education Bureau usually tell the association which children need help. First, the “Children of Madaifu” visit the children, their families and the school to investigate their living conditions. 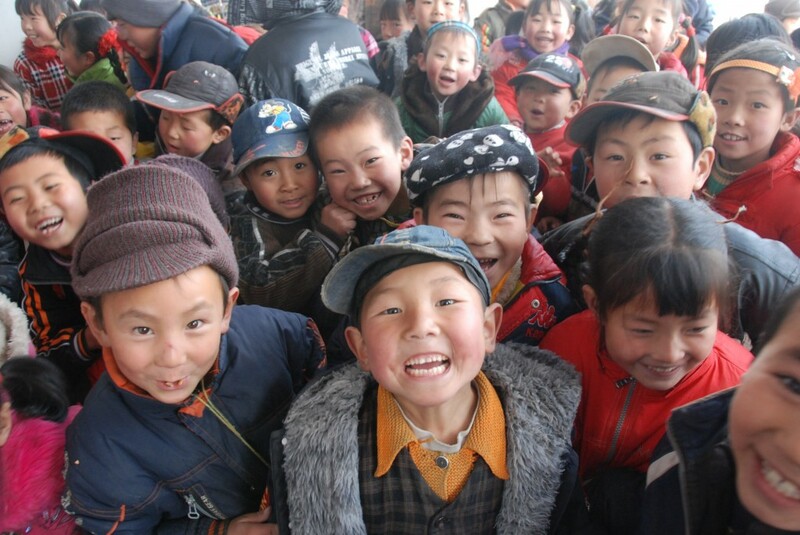 A file on each child is then submitted to the association’s offices in Beijing. If it is accepted, the association and the family sign a contract in the presence of a local authorities’ representative who records the commitments of both parties. The minimum length of the contract is one year, with the aim to pursue until the child gets his or her first job. The aid given by the association consists of living expenses for food, clothing as well as tuition fees for students. The amount of the allocations varies according to the location, the age of the child and the school-year he/she currently attends. 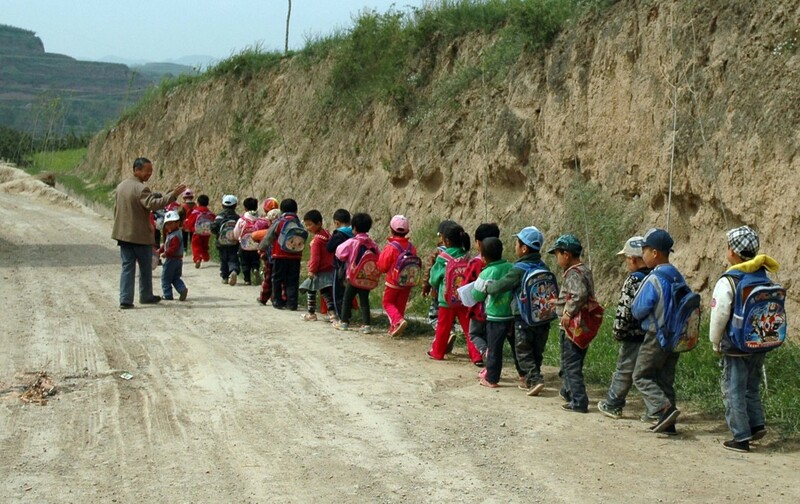 Living expenses are given to the families every quarter and amount to between 300 and 500 rmb. Tuition fees are paid based on receipts provided by the school or the university and amount to between a few hundred rmb per year for high school to a few thousand rmb per year for vocational schools and universities. The family signs a receipt for each allowance received. Additional help, notably to bring water and electricity tp a house, cover medical expenses or provide emergency help such as food or heating, is sometimes given to families whose living conditions are particularly precarious. The association’s local manager follows up on the children, the families and the schools at least once every quarter and often once a month. The association’s board members and volunteers make regular rounds of the villages. Chinese New Year is also an opportunity to visit each family and to bring them traditional gifts: oil, rice and toys. Information on each child and the families are kept on forms and updated monthly. We also ask the teachers to write reports on the children every quarter. Additional aid is given to the schools through specific projects, subsidies or donations. Since 2007, aid has consisted of : basketball field in Shanmen School (French Embassy subsidy), sports and schools supplies (Carrefour), computers (AFP), stoves and coal, bunk beds and emergency food program for Guanshan’s school, etc. Today, 129 children are being taken care of while 143 are no longer in the program, either because they have finished school and started working, or because their family’s situation has improved and they no longer need the support of the association. The average stay in the Orphanage without Walls is 4 years.